Featuring a 550 mm reach and high-speed wrist, this ultra compact 5 axis short arm version is ideal for confined work spaces and compact machines. Extremely easy to integrate, this model is also available with a range of options including integrated intelligent (vision & force) functionality, special application packages and full IP69K protection. For payloads of up to 4 kg, this 19 kg short arm model is characterised by repeatability of ± 0.013 mm. For tasks that require tilting, this is a cost-effective 5 axis solution that delivers absolute flexiblity and fast handling of small payloads. Ideal for a range of applications including machine loading and unloading, material handling, parts cleaning, assembly, testing and measuring, cutting, grinding, deburring, polishing, packaging, pick and place and secondary food handling. 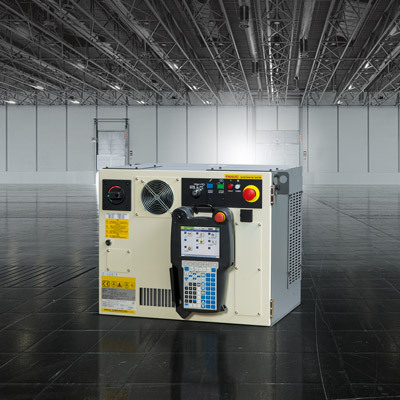 Enclosed cabling and smooth surfaces make for easy cleaning, minimal maintenance and zero downtime. 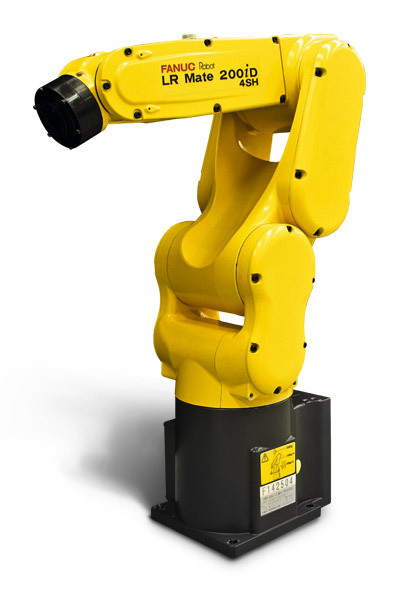 Discover LR Mate 200iD/4S, our standard 6 axis short arm model.